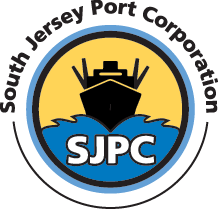 Join Richard A. Alaimo, Chairman of the South Jersey Port Corporation Board of Directors, on May 17, 2018, at 10:00 a.m., for a special teleconference briefing to update SJPC customers and stakeholders on the search for a new Executive Director as the agency’s leadership maintains continuity of the marine terminals and port agency services during the transition. The Chairman will answer questions at the conclusion of the briefing. To request to be queued to offer a question/comment, attendants can enter *7 on their phone. As a public agency committed to full transparency, the conference will be recorded as part of the public record. The South Jersey Port Corporation (“SJPC”) is an instrumentality of the State of New Jersey (the “State”) which operates four (4) port facilities in the southern region of the State. On August 29, 2017, the Board of the SJPC took final action to authorize the issuance of its Subordinated Marine Terminal Revenue Bonds, Series 2017 (the “Series 2017 Bonds”). The Series 2017 Bonds, if sold, will be sold via a negotiated sale with Citigroup Global Markets, Inc. acting as the senior managing underwriter. It is expected that the SJPC will price approximately $255,000,000* of the tax-exempt Series 2017 Bonds on or about November 16, 2017. Proceeds of the Series 2017 Bonds will be used to: (i) finance all or a portion of the costs of 2017 Capital Plan; (ii) capitalize interest on the Series 2017 Bonds through January 1, 2019; and (ii) pay the costs of issuance of the Series 2017 Bonds. The Series 2017 Bonds will be issued pursuant to The South Jersey Port Corporation Act, constituting Chapter 60 of the Pamphlet Laws of 1968 of the State of New Jersey, approved June 13, 1968, as amended and supplemented (the “Act”) and the Amended And Restated Subordinated Marine Terminal Revenue Bond Resolution, adopted July 25, 2017 and amended and restated on August 29, 2017 (the “Subordinated Bond Resolution”). In order to assure the maintenance of the maximum debt service reserve in the South Jersey Port Corporation Reserve Fund, there shall be annually appropriated and paid to the corporation for deposit in said fund, such sum, if any, as shall be certified by the chairman of the corporation to the Governor as necessary to restore said fund to an amount equal to the maximum debt service reserve. The chairman shall annually, on or before December 1, make and deliver to the Governor his certificate stating the sum, if any, required to restore said fund to the amount aforesaid, and the sum or sums so certified shall be appropriated and paid to the corporation during the then current State fiscal year. All moneys to be paid to the SJPC pursuant to the provisions of the Act are subject to appropriation by the State Legislature for such purpose. Such provisions of the Act do not constitute a legally enforceable obligation on the part of the State nor do they create a debt or liability of the State. The Series 2017 Bonds will be direct obligations of the SJPC payable solely from and secured by the Pledged Property; provided, however, that such pledge of the Pledged Property is (i) subject, in all cases, to the provisions of the SJPC Marine Terminal Revenue Bond Resolution, dated June 5, 1985, as supplemented and amended (the “Senior Lien Bond Resolution”) and the Subordinated Bond Resolution permitting the application thereof for the purposes and on the terms and conditions set forth in the Senior Lien Bond Resolution and the Subordinated Bond Resolution, and (ii) subject and subordinate and junior in all respects to the lien and pledge created by the Senior Lien Bond Resolution. Under the Subordinated Bond Resolution, the Pledged Property consists of: (i) the proceeds of the sale of the Subordinated Bonds, including the Series 2017 Bonds, (ii) the Revenues, (iii) all amounts from time to time on deposit in the Construction Fund, the Operating Fund, the Debt Service Fund, the Debt Reserve Fund, the Maintenance Reserve Fund, the General Reserve and the Property Reserve Fund (but not the Rebate Fund) created and established under the Subordinated Bond Resolution, including the investments, if any, thereof, and (iv) all amounts received from the State as appropriations for the Subordinated Bond Account in the Subordinated Debt Reserve Fund. In previous years beginning in 1972 and in every year since 1989, the Net Revenues of the SJPC after paying Operating Expenses have been insufficient to meet the debt service requirements on its Outstanding Senior Lien Bonds. In each instance, the State has provided the necessary funds by appropriation to restore the balance in the Senior Lien Debt Reserve Fund to its required level. The SJPC believes that its Net Revenues will not be sufficient to meet the debt service requirements on its Outstanding Senior Lien Bonds and Bonds to be issued under its Subordinated Bond Resolution, including the Series 2017 Bonds, for the foreseeable future. The size, timing, and structure of the potential transaction are subject to market conditions. The SJPC reserves the right to change the timing and size of the sale, or not to issue the Series 2017 Bonds, if to do so would serve the interests of the SJPC. The Preliminary Official Statement for the Series 2017 Bonds is expected to be available on or about November 8, 2017. The publication of this notice does not constitute or imply any representation (i) that the foregoing is material to investors, (ii) regarding any other financial, operating or other information about the SJPC, the State of New Jersey or the Series 2017 Bonds or (iii) that no other circumstances or events have occurred or that no other information exists concerning the Series 2017 Bonds, or the proposed financing that may have a bearing on the financial condition of the SJPC or the State, the security for the Series 2017 Bonds, the federal or state tax consequences of, or an investor’s decision to buy, sell or hold the Series 2017 Bonds or any other bonds of the SJPC. This notice does not constitute a recommendation or an offer or solicitation for the purchase or sale of any security or other financial instrument, including the Series 2017 Bonds, or to adopt any investment strategy. Any offer or solicitation with respect to the Series 2017 Bonds will be made solely by means of the final Official Statement relating to the Series 2017 Bonds which will describe the actual terms of the Series 2017 Bonds. On March 2, 2017, the Paulsboro Marine Terminal (PMT) in Paulsboro, NJ, officially opened with more than 300 guests at an event welcoming the first vessel, the M/V Doric Warrior, and the commencement of cargo operations. The recent completion of phase one of the Paulsboro Marine Terminal project marks the first new general cargo marine terminal to be constructed along the Delaware River in more than 50 years. The event included remarks from Senate President Steve Sweeney, Assemblyman John Burzichelli, Gloucester County Freeholder Director Robert Damminger, SJPC Executive Director Kevin Castagnola, NLMK USA President Robert Miller, BP Manager Patricia Gallery, Holt Logistics President Leo Holt, and Mayor of Paulsboro Gary Stevenson. Funded largely through $175 million of South Jersey Port Corporation (SJPC) bonds issued in 2009, the Paulsboro Marine Terminal stands as one of the most significant and prudent investments by and for the people of New Jersey in growing southern New Jersey’s economy and its vital role in international trade and commerce. What began formally in 2004 as a Memorandum of Understanding between the SJPC and Gloucester County after Senator Steve Sweeney and Assemblyman Burzichelli envisioned transforming the former BP tank farm into a bustling port, the site is now a place of international commerce and economic activity. One of the first steps was the construction of the $23 million access road that diverts truck traffic away from the neighborhoods. Senator Sweeney, Assemblyman Burzichelli and Freeholder Director Damminger were instrumental in securing NJDOT funding for the public roadway and bridge over the Mantua Creek which provides a direct link between the terminal and Rt. 295. Early in the project, SJPC formed a partnership with the Gloucester County Improvement Authority (GCIA) who served as the construction agent for the design and construction of the terminal. SJPC and GCIA worked with the world-class engineering firms: CHM2Hill for the design engineering and AECOM for construction management. The completed first phase has an 850-foot marginal wharf and state-of-the-art on terminal and dockside rail. More than 300,000 cu/ft of dredged material was used to raise the terminal landscape and protect it against a once in a century flood. The PMT berth(s) have dock-side rail – augmented by millions of dollars in regional rail upgrades and improved rail access through three Class A railroads from the southern New Jersey peninsula to the heartland of the United States and Canada. The rail components of the project were in part funded through a federal TIGER III grant and a NJDOT Rail Freight Assistance grant. With operations of the PMT the key to its success, the SJPC entered into a terminal operator agreement with Holt Logistics, who is the terminal operator and principal employer supporting hundreds of jobs at the terminal. This public-private partnership is already paying dividends as Paulsboro has become the prime port of call for NLMK USA. A 50-acre dockside parcel at PMT has been dedicated to the import of steel stabs for NLMK USA, one of the leading suppliers of steel products in the US. NLMK USA will use PMT as a prime port to import steel slabs for rail shipment for distribution throughout North America. The opening of the PMT marks the completion of Phase One and the beginning of a continued expansion to grow water-borne cargo business. Phase Two will extend the wharf to 2,200 feet to accommodate up to four ships, a 500-foot barge berth, and upland improvements to accommodate future cargo customer needs. South Jersey Port Corporation, in 2016, recorded its third highest year of steel cargo with 741,691 short tons and saw a 29% increase in both recycled metals and cement tonnage. “Cargo activity remained strong during the past year, as steel, cement, recycled metals, wood products, and Grancem© kept the terminals busy,” stated Kevin Castagnola, Executive Director of the South Jersey Port Corporation. “2016 was a transitional year for the port facilities. Construction of the new Paulsboro Marine Terminal entered into the final stage, the transformative changes to the Broadway Terminal with the development of the Holtec Technology Center are rapidly being realized, and the Salem Port, closed for upgrades in 2016, returns to full operations,” he added. The combined cargo tonnage for steel, cement and recycled metal in 2016 was 1,873,123 short tons compared to 1,732,055 in 2015. This 141,068 increase in tonnage for these commodities represents a year over year increase of 8%. These three cargoes account for more than 80% of all cargo tonnage handled by the SJPC and greatly mitigated declines in other cargoes. Last year’s closing of the Salem Port from March to December to upgrade the terminal facilities resulted the decrease in sand tonnage from 245,865 to 26,681. In turn, the Salem Port deficit triggered an overall slight decline in overall total tonnage to 2,293,657 for the SJPC. However, 2016 tonnage was still 55,956 tons higher than in 2014 representing the stabilization of higher cargo tonnage as the region continues to rebound from the recession. There were 182 ships that moved through the Port in 2016 registering 456 ship-days. Steel, especially steel imports for the industrial heartland whose shippers have increasingly opted to use the SJPC’s marine terminals during the seasonal St. Lawrence Seaway shutdown, has been steadily growing with the shippers’ confidence in the SJPC. At the January 26, 2016 SJPC Board of Directors meeting, the agency reported its marine terminals achieved another year of cargo growth in 2015 with tonnage increasing by 12% over 2014 to 2,525,562 short tons. This is the third consecutive year of achieving double digit percent growth at the marine terminals in Camden and Salem. “We had another good year of growth reflecting both a trend of cargo growth and confidence in the regional and global economies,” said Kevin Castagnola, chief executive officer and executive director of the SJPC. Overall breakbulk cargoes, consisting of steel, calcium chloride, cocoa beans, fruit and wood products, combined for 1,093,003 s/tons, finishing virtual even with 2014. Steel imports tonnage lead all cargoes with 832,153 s/tons. This result is SJPC’s 2nd largest steel tonnage total, trailing only 8% behind 2014’s mark of 900,000 tons. The consistence throughput of steel imports reflects a growing reliance on the SJPC’s marine terminals by shippers of steel from Europe to the American industrial heartland. The terminals handled 47,867 s/tons of super sacks containing 50 lbs. bags of calcium chloride; besting 2014 by 60%. This consumer ready product is at great demand when the Mid-Atlantic winters produce snow and ice. Import fruit returned to Broadway Terminal’s Pier 5 during November and December, with five ship calls carrying 9,990.00 s/tons. Although a modest result, the new activity to Pier 5 is a welcome result. Import wood products improved by 48% over 2014, reaching 160,255 s/tons. Import cocoa beans finished the year with 41,344 tons; off from 2014 by -37%. Dry bulk cargoes collectively reached 1,432,545 s/tons in 2015; improving by 24% over 2014. Export recycled metals, through Camden Iron & Metal, handled 525,221 s/tons; a 1% improvement over the previous year. Essroc’s import cement and export Gramcem® each finished -4% off of 2014 with 355,184 s/tons and 105,162 s/tons respectively. Other bulks, including road salt, sand, Urea, Pumice and Gypsum filled out the remainder of the activity. During 2015, the SJPC’s marine terminals handled 206 ships compared to 157 in 2014. The number of ship days (i.e. the number of days a ship is loading or unloading at its terminals) increased from 543 to 462; an 82% increase. An application has been submitted to the Foreign-Trade Zones (FTZ) Board by the South Jersey Port Corporation, grantee of FTZ 142, requesting subzone status for the facilities of Nine West Holdings, Inc., located in West Deptford, New Jersey. The application was submitted pursuant to the provisions of the Foreign-Trade Zones Act, as amended (19 U.S.C. 81a-81u), and the regulations of the FTZ Board (15 CFR part 400). It was formally docketed on October 14, 2015. The proposed subzone would consist of the following sites: Site 1 (27.18 acres) 1245 Forest Parkway West, West Deptford; and, Site 2 (33.28 acres) 1250 Parkway West, West Deptford. The proposed subzone would be subject to the existing activation limit of FTZ 142. No authorization for production activity has been requested at this time. In accordance with the FTZ Board’s regulations, Kathleen Boyce of the FTZ Staff is designated examiner to review the application and make recommendations to the Executive Secretary. Public comment is invited from interested parties. Submissions shall be addressed to the FTZ Board’s Executive Secretary at the address below. The closing period for their receipt is November 30, 2015. Rebuttal comments in response to material submitted during the foregoing period may be submitted during the subsequent 15-day period to December 14, 2015. A copy of the application will be available for public inspection at the Office of the Executive Secretary, Foreign-Trade Zones Board, Room 21013, U.S. Department of Commerce, 1401 Constitution Avenue NW., Washington, DC 20230-0002, and in the “Reading Room” section of the FTZ Board’s Web site, which is accessible via www.trade.gov/ftz. For further information, contact Kathleen Boyce at Kathleen.Boyce@trade.gov or (202) 482-1346.